This time, a children’s book about a train. I know what you’re thinking, but bear with me because I’m not about to nominate the adventures of a certain blue tank engine as an example of how transport has influenced culture. This one, I picked up from my local library last week. 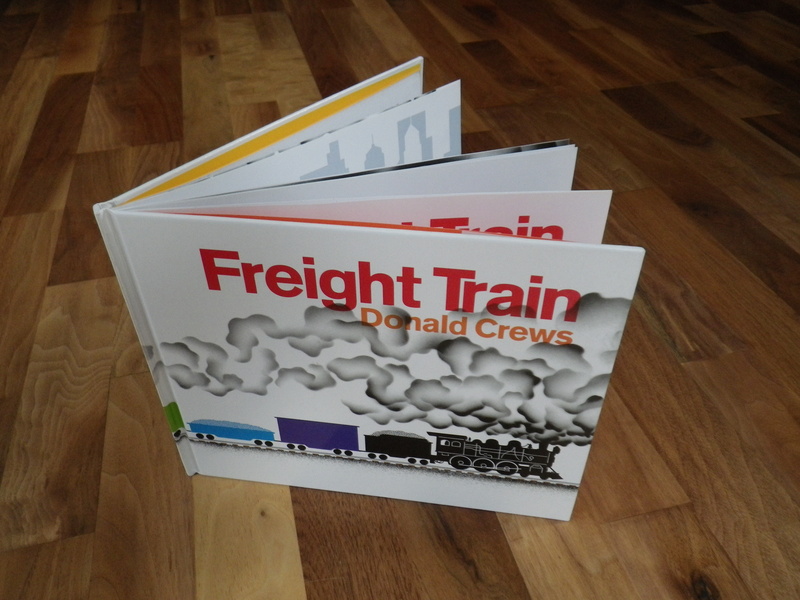 Published in 1978, it’s Freight Train by American author and illustrator Donald Crews. It’s a simple book for very young children, concentrating on the colours of the wagons hauled by a typical American steam locomotive. But it’s just so gorgeously illustrated – the cover gives a taste of it, but the page illustrations are even better, achieved through what looks like air-brushing for some of the effects. One double-page spread features a spectacular, highly stylised cityscape with the train in the foreground, which I’d be quite happy to have on my wall. Or perhaps a mug. Get hold of a copy of Freight Train. The story is for children. The illustrations are for anyone who likes good graphic design with a transport twist. I’d never seen this book before I picked it up in the library, but it’s apparently quite famous, and it won Honors in 1979’s Caldecott Medal prize. I didn’t know there was a prize for most distinguished picture book for children before I started researching Freight Train, but that’s what the Caldecott Medal is for, so I’ve even learnt something new. What’s really interesting about Freight Train is the contrast between American and British railway sensibilities it exemplifies. The British Thomas the Tank Engine books are largely about passenger trains (trucks are always troublesome). Freight Train is about, well, a freight train. This mirrors public attitudes to the railways in both countries. In Britain, people think of the railways as being for passenger services, and give little thought to railfreight. In America, you’re considered quite mad if you want to use the railways for long distance passenger travel (though Amtrak still, just about, provides some extraordinary long distance trains). Railways, outside city commuter networks, are for freight. I don’t think I will ever forget being in Flagstaff (Arizona), one night when a real American freight train came through. In true movie style, first the bells at the level crossing started ringing, then I could hear the locomotive horns blaring in the distance, and then eventually the train rumbled through and the ground shook. It had four locomotives on the front, and pulled wagon after wagon of double-stacked containers. And it kept coming. For ages. And finally vanished. I’d never seen anything like it before on my railway travels, and I haven’t since.